The Christmas Made It – Yep, VOTING is finally OPEN! And just like that VOTING is open! Our last month’s winner, Laura from Cute As A Button steals our hearts once more with her gorgeous garland of crocheted Christmas Stars, a gift for a friend. I love the colour choices and they look smashing in their new home. Personally I think they should stay just where they are for the whole year! Welcome back to Carole from A Slight Obsession With Books! WOW, I’m truly blown away by the craftsmanship that has gone into her amazing Rail Fence Cushion – mind boggling for someone like me who doesn’t sew. The overall effect if so beautiful and the stitching is perfect. Well I certainly hope Carole’s hubby gets is way with the duvet and matching pillow covers! Thank you to each of you that has entered, once again we have an amazing collection, overflowing with crazy talent and creativity – LOVE IT! 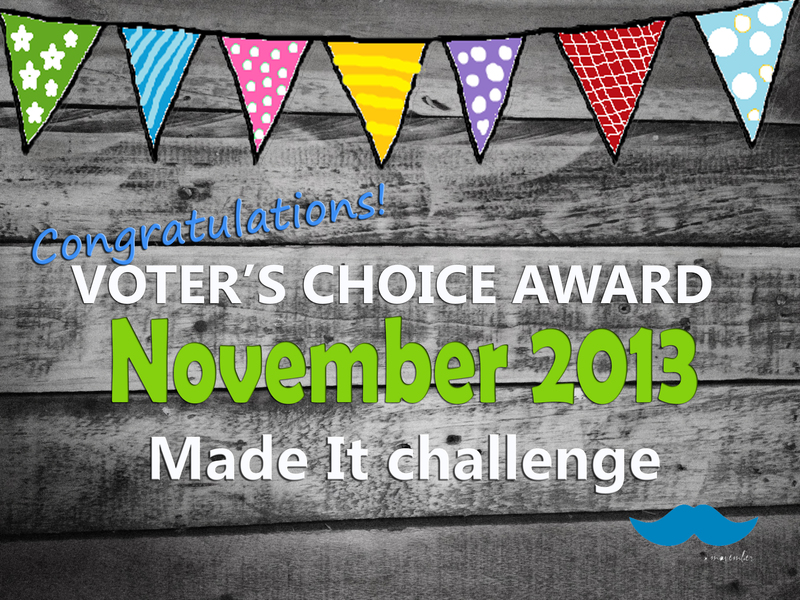 Thank you to EVERYONE who entered and who voted this month – what fun! WOW, one thing is hugely clear (despite the enormous amount of talent here of course) is that each project, no matter how big or small goes a long way in inspiring others. The stats for this month showed that people clicked on links to YOUR posts, 310 times – that’s 143 times more than last month – and 190 votes were cast. Thanks again for each of you, for sharing your makes with the rest of us! And now, the VOTER’S CHOICE award badge – with a record breaking total of 42 ♥‘s – goes to one of our wonderful newbies to the challenge. CONGRATULATIONS to the lovely Pixi Mik A Lot with her fabulous crochet stacking cups! Voters Choice Award – Pixie Miks A Lot! Pixie, this badge is yours to wear on your blog! Once again congrats to our winners and thank you all for taking part. I will be seeing you all again in a couple of days for the launch of the December Made It! November Made It Challenge – And it just keeeeps on getting better! The November Made It challenge is not even a week old and already it’s produced an entire soccer team of beautiful babies (ok, if you count the subs too that is)! WOW, I mean it when I say that it just keeps on getting better and better – the entries are sensational and we have TWO new incredible blogs to explore (coming up in my next post) All in all, you’re in for a treat. It’s a pleasure heehee! In the mix this evening we have 3 truly exquisite cowls (oh, I’m already missing winter…), a funky kiddies cardi, a colourful cozy Snoodie, a sensational knitted top and a piece of mixed media art which left me yearning to whip out my (nonexistent) paint brushes and reach for my stash of buttons – getting creative is catchy!!! 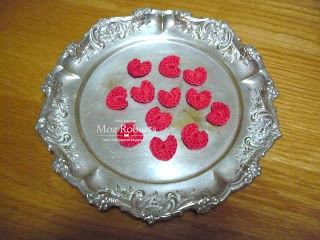 Laura from Cute As A Button has been busy!! This is one of the cutest cardies EVER – with the sweetest buttons, naturally! 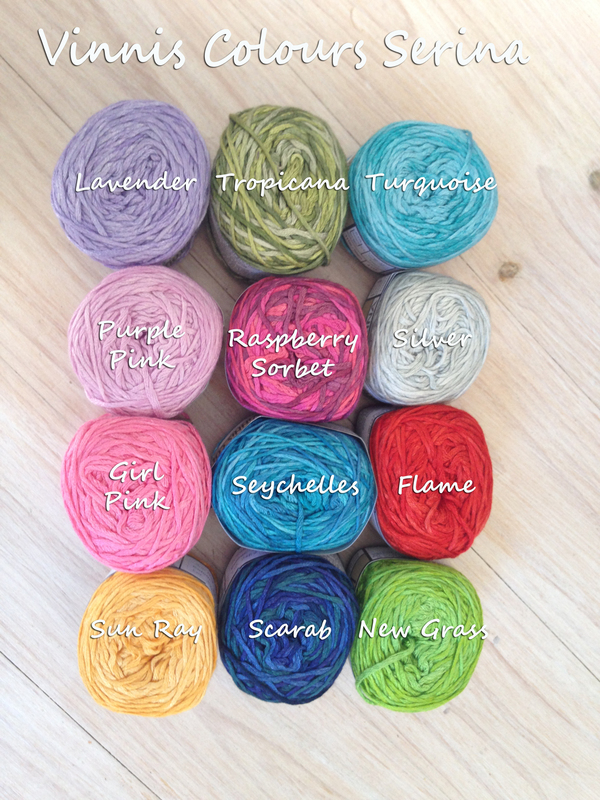 These cowls are beautifully made – I adore the funky colour combos. And besides a great eye for colour, Laura is pretty good with her models too! 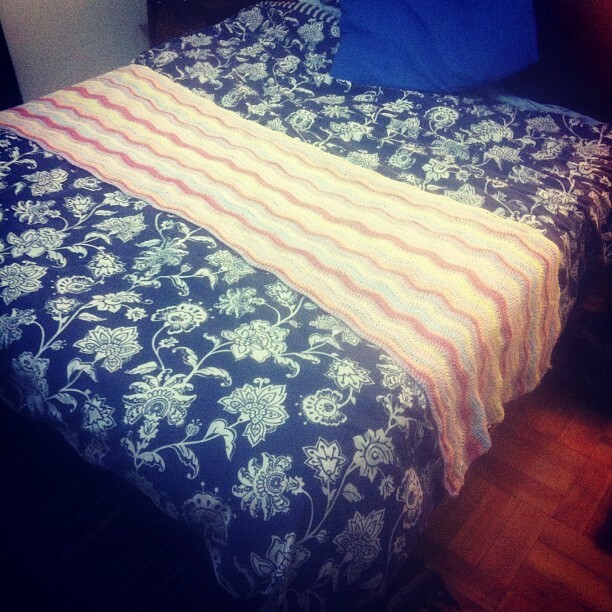 A labour of love…and totally worth all the incredible efforts!. For those of you who’ve been following the Mantova Reports of this sensational blouse…Ta Dah! Well done Knitxpressions, the detail is jaw-droppingly good! Please send us a pic of your aunt flaunting it!!! I LOVE new and exciting projects – and I’m feeling very inspired!!! How gorgeous is this bright happy piece of art by Susan of Susan’s Musings? Now I know what to do with my very large bottle of buttons, woohooo! Ahhhhh this is the LIFE! After a very fortuitous twist my family and I find ourselves away for the weekend, at one of the most magical places in the Cape Town. 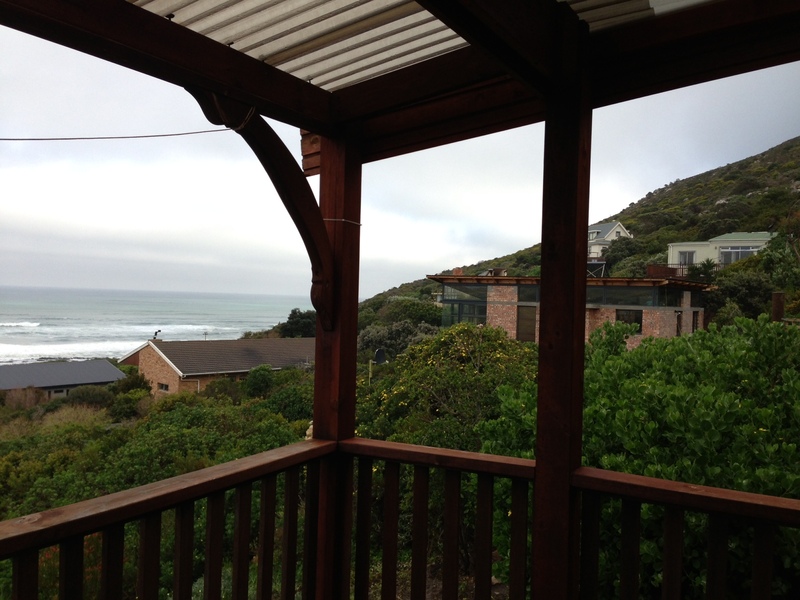 We’re in Scarborough where my in laws live, a gorgeous little seaside village at the foot of the Cape’s south peninsula. They were supposed to go away this weekend for an impromptu – and long overdue – break so we offered to housesit for them (tough job!) and look after their doggies. We had plans to go away too with my parents but my hubby’s work got in the way! Anyway, my in-laws have two holiday cottages next door to their home which are almost always full, so because they had no booking this weekend they wanted to make the most of the time off. Early yesterday morning I got a call my momma-in-law saying that they just couldn’t find anywhere nice to go on such short notice and they thought that they would just pop over to one of their own cottage to “get away”. 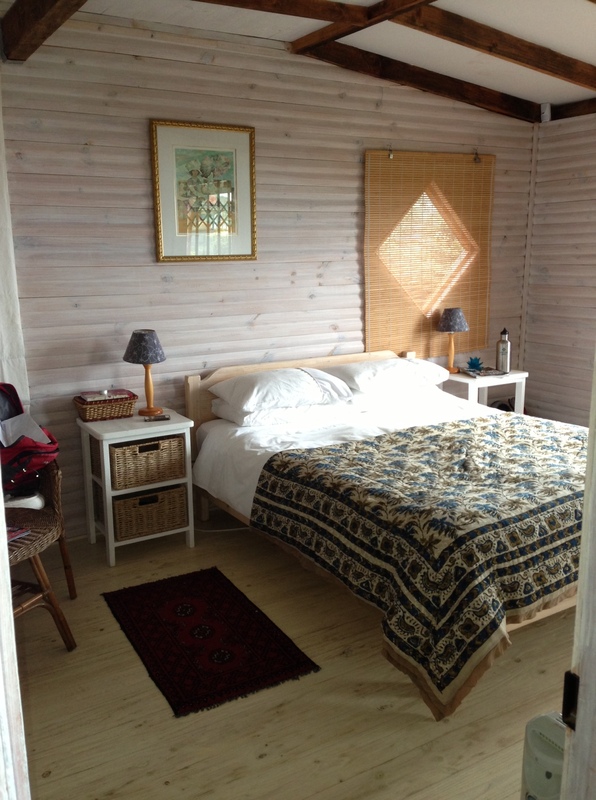 But on thinking of how silly it would be to haul all their personal stuff just steps away…..she had a brainwave….we could come and stay in the cottage for the weekend and they would just stay at home where they have everything they need!!!! Brilliant! After a good giggle together at the utter irony and a promise from the folks not to lift a finger, my little family and I found ourselves waking up this morning to the sounds of waves rolling in the beach and, well, not much else…it’s blissfully quite here! The best part is that we are only 10 minutes drive from home so we had none of the usual “are we there yet”s from the kids. Horraaaaay for al! Each finished project is a wonderful thing but when you finally finish something that’s taken a year, then somersaults are the order of the day!!! WOW, this full sized quilt from Alyssa from Measured & Slow is absolutely STUNNING and an amazing feat….I’m bowing down as I type this! Welcome back to the uber-creative and colourful Elena from Beatrice Ryan Designs who’s repertoire seems infinite. 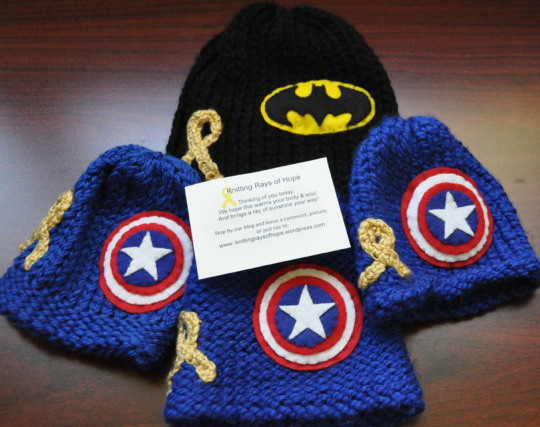 How fantastic are these beanies?!!! 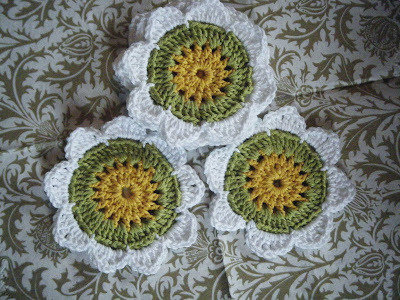 My kids (sigh, as usual) are always banging on at me to crochet fun things like this for them, even my friends!! There’s a great tutorial too for Elena’a beautiful cowl – it looks likes it’s nice and quick to work up too, the rose is stunning and finishes off the look perfectly. LIke Alyssa above, finishing a project like a quilt must be so very satisfying (em, I’m assuming it is, I wouldn’t know heehe). 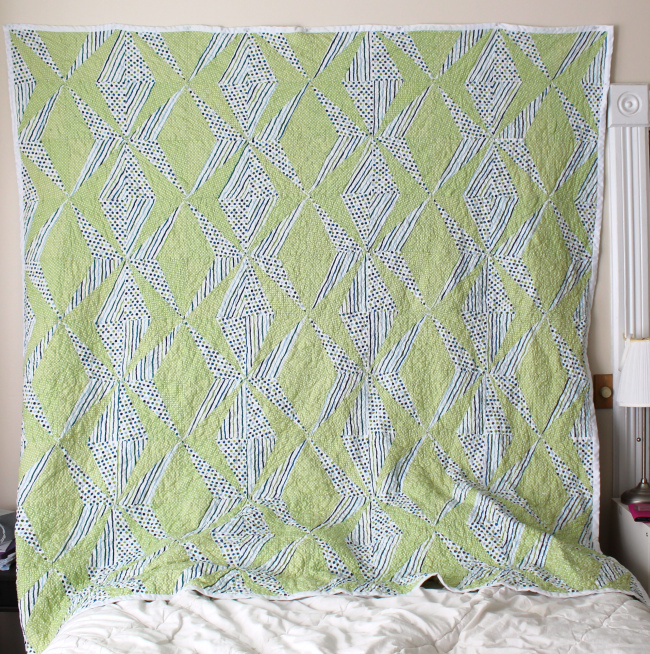 Avis from Oh Sew Tempting‘s Pinwheel quilt is absolutely gorgeous and exquisitely crafted! 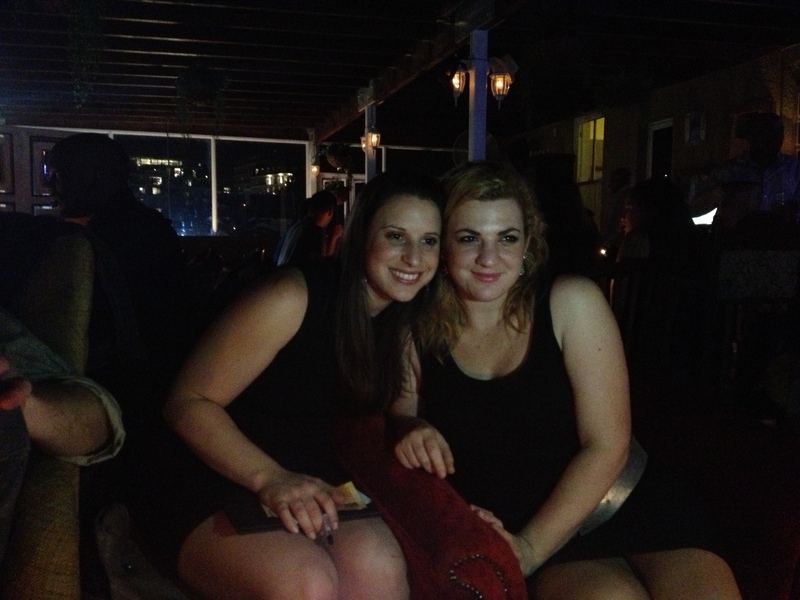 A lot of our readers and Made It challenge entrants know Avis very well – her work is so inspirational!!! WOW WOW WOW! For those of you how don’t know, Avis is now also Avis from Sewing Beside The Sea!!! Her new blog is everything not patchwork/quilting and promises to be be fascinating with lots of exciting projects coming up – please go and follow. This blackwork Elizabethan house is so beautiful, so intricate and the overall effect is striking – so looking forward to seeing more! Hello cute little Giraffe! Welcome back to the fun Kayleigh from Kake’s Crafts and thank you for another super sweet amigurumi creature. This stipey non-gender giraffe is one it’s way to Kayleigh’s little 2 year old cuzzy, ahhhhhhh! 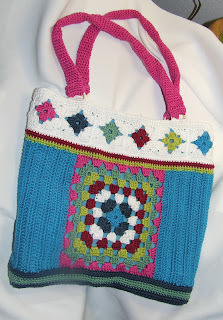 Pop over for all the details and the link to the pattern! HAHAH I just LOVE from Nice Piece of Work‘s beautiful sense of humour and easy style! Only she could name her bag “Life of it’s own” and call it weird! Well, I know you’ll agree that this wonderfully eclectic bag, multi faceted bag, complete with doily centre and magnetic clasp is all AWESOME! Ok, all together now…Ahhhhhhhhh! Oh my word, this is just so cute! 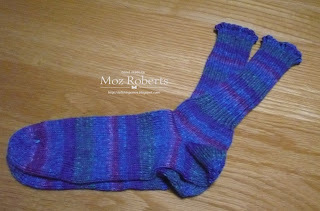 Thank you to Jennifer Stewart, one of Woolhogs Facebook page members for sending me her Made It entry. This delightful Baby Balmoral Hat is Jennifer’s very first pattern and can be found here on Ravely! Thank you all for a FAB start – sooooo looking forward to bringing you the next batch! Before I get on with introducing the last (?) batch of entries, here is a reminder of what’s up for grabs! Righty O, let’s get on with it…please forgive me once again for the lack of a decent intro to each entry but I have 3 kiddies downstairs, on school holidays, yelling at me to take them out! And lastly, I may owe Jill something here and I have once again failed miserably to get something of my own entered! BUT, it was a close call…. Future August Entry in the making! I can honestly say that you guys are going to have a hard time voting for your favourites! There is a very busy lady at the moment who’s name is Alice from Knitnrun4sanity! For all our new readers who don’t yet know Alice, she is a super talented Runner/Crocheter/Knitter/JewelleryMaker etc etc! 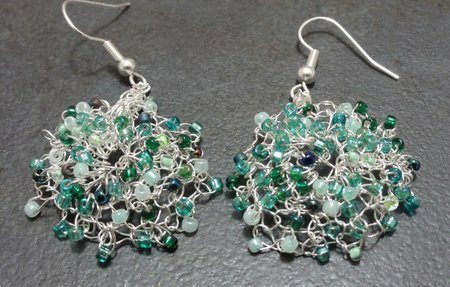 Please please pop over and have a look at her beautiful jewellery & others sweet creations as well as these stunningly & unique Tunisian aqua earrings!!! When I clicked on this link of Alyssa from Measured & Slow my jaw literally dropped – in fact, she had me at the first photo…the rest are as stunning! Go and see for yourself and tell me if you agree! A warm welcome to Alyssa – she has made this incredible Rainbow Quilt for her sister-in-law with a beautiful step-by-step. WOW! Looking forward to June’s entry too! WOOOOOOHOOOOO – I am over the moon to say that we have our very first enrty from a GUY! 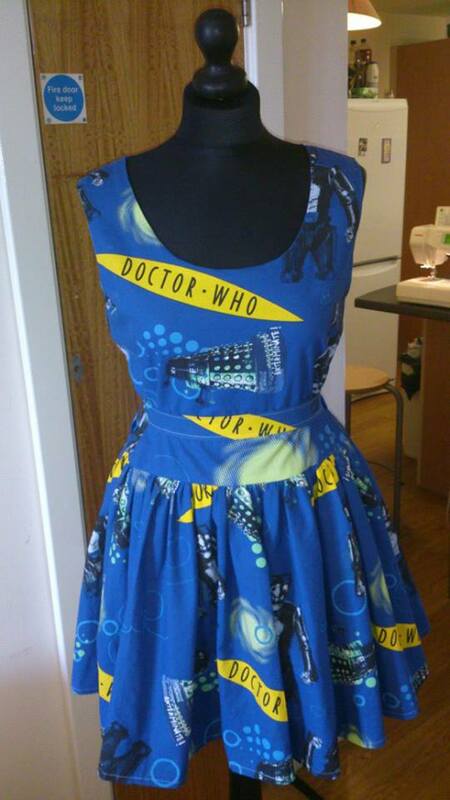 Franz Maggs who is the incredibely talented younger brother of Kaiserin from Empress27 who is cleary on his way to becoming a very successful designer with this fab Dr Who Dress!!! Ps, Franz Maggs is such a cool name for a famous designer, don’t ya think! 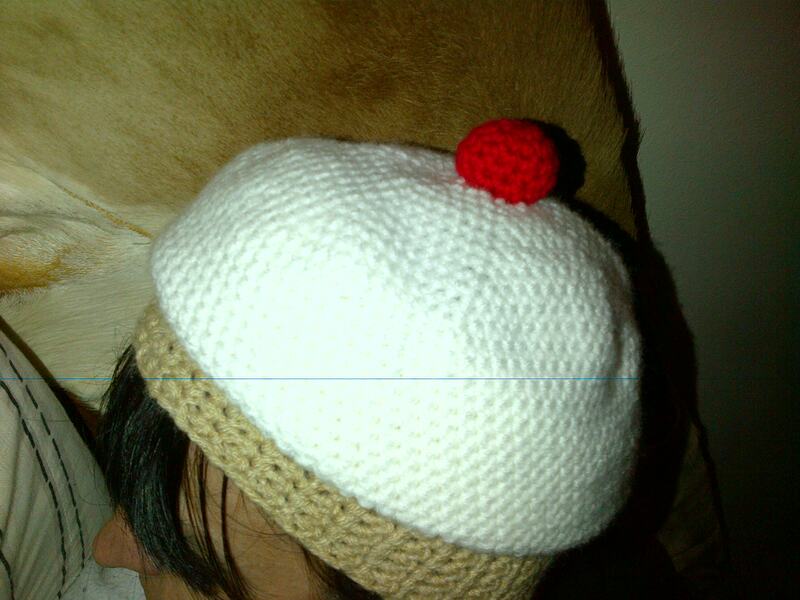 This sweet crochet hat by was sent to me this morning by Terri Glanvillle who is a member of my facebook page and I’m so happy that she been inspired to enter! This is exactly what the challenge is about. 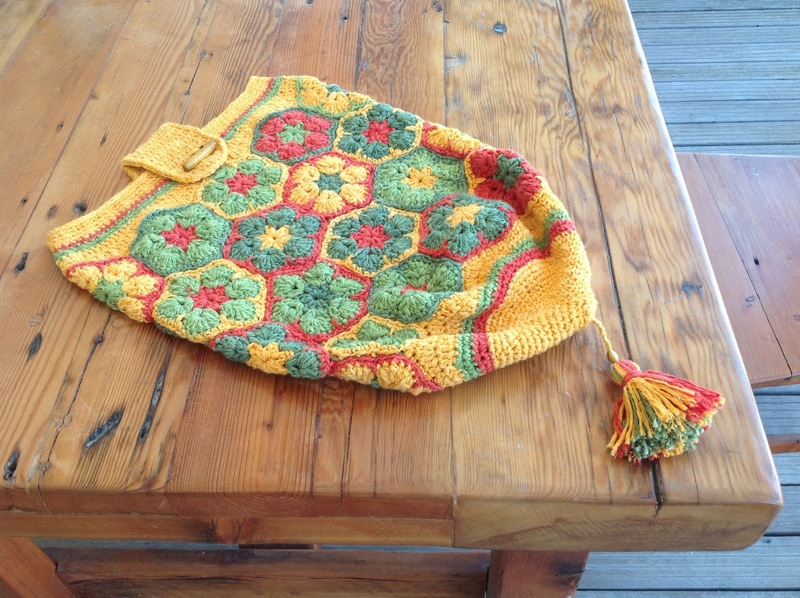 Terri crocheted this fun & delicious looking hat for her daughter who likes new hats to wear to musical festivals – this idea came from Pinterest. Wooohooo ROCK ON! Oooooh which one is your favourite?!! 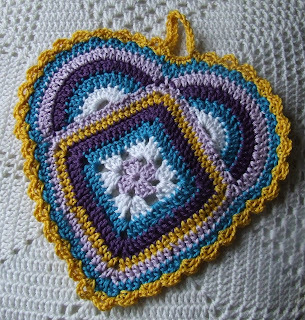 Jane from Rainbow Junkie Corner has been a part of a CAL (crochet along) started by Little Room of Rachell and they’ve been steadily working through an amazing book of crochet squares. 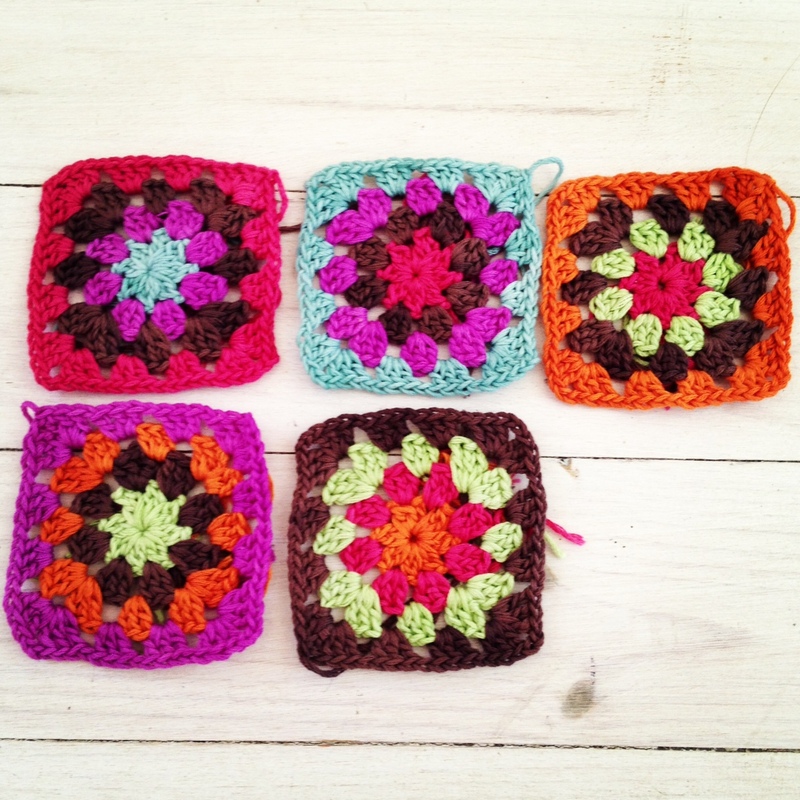 Go and have a look back at all of the, I can’t wait to see what she does with all these colourful little squares of delight! Elena from Beatrice Ryan Designs has quite literally whipped up another of her beautiful crochet hats, this time in a scrumptious spring green! She is busy making a whole lot of goodies for a fair (is that right Elena) at the end of June, so I’m thinking that we are going to be in for a treat next month too!!! Well, I think that it for this month – a FANTASTIC 42 entries!!! and lastly….you know what happens next right? Still Life with Our Greek Adonis – just had to share!!! 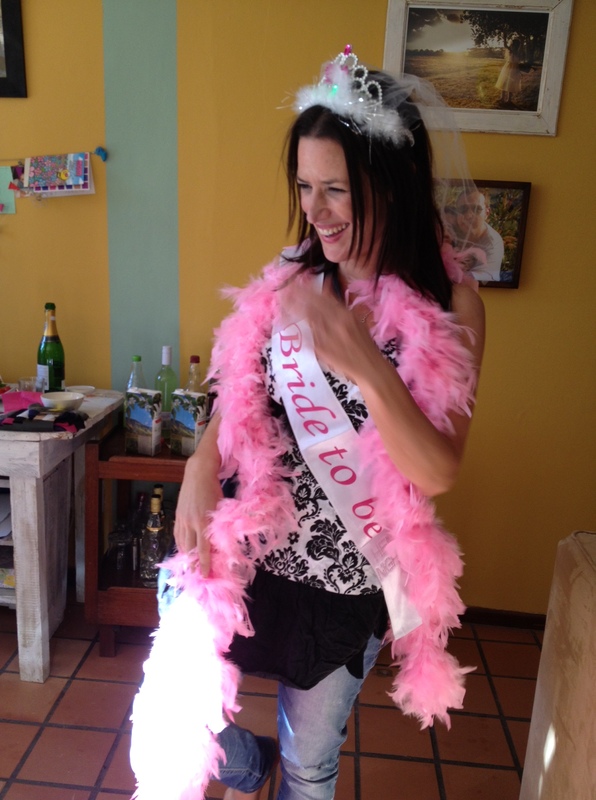 With 5 sleeps to go, we are all frantically getting all the final preps in place for the wedding on Saturday…..and I should be practising my speech which I haven’t even written yet. Eeeeeeek!!!! Luckily for me, I always seem to wait for the last second to get things done so with all things being equal, I should be able to pull something out the bag in the next 5 days……oh jeepers, I hope so!!! So, as usual, I’m delighted to show off the latest Made It entries to you – I’m sure that this next batch will inspire you as much as it has me- I LOVE LOVE LOVE that the Season-themed entries are coming in too! First up we have not one, but TWO entries from Laura of Cute As A Button! How delicious is this?!!! I can just imagine the little girl who is going to be gifted with this sweet cardi, spinning around and showing off her new pressie with utter glee in her face! The adorable little flowers just make it, don’t ya think!. The pattern looks amazing, so simple and so effective. 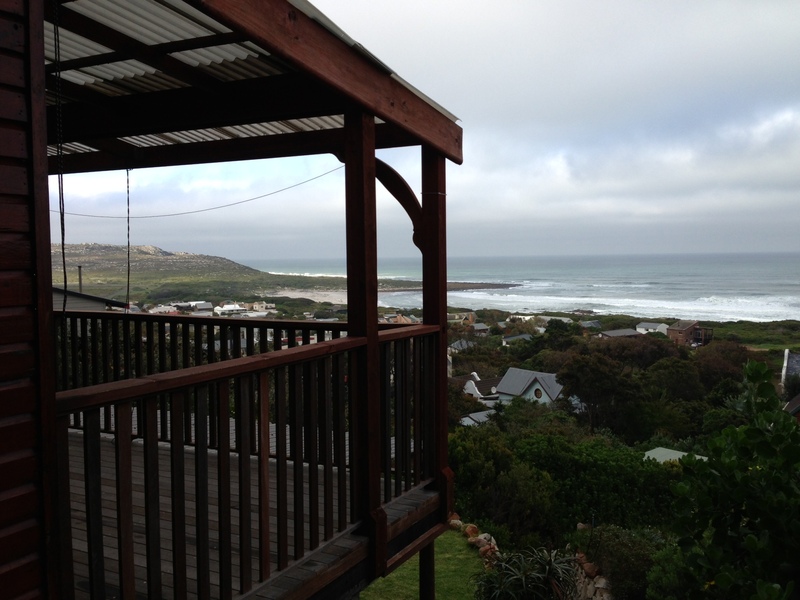 My heart melted when I saw this fantastic before & after from Laura of My House In Africa!!! This wrought iron rocking chair is now the “go-to” place for peace and quite…and a spot of knitting of course! There’s always something beautiful about busting the budget and buying something special…it seems to mean that much more. I love that Laura opted for a burst of bright and wonderful colour – I can picture it rocking gently, under a blue sky…. on the “verandah”!!!! Is Laura the sub-theme of the April Made It?!!! 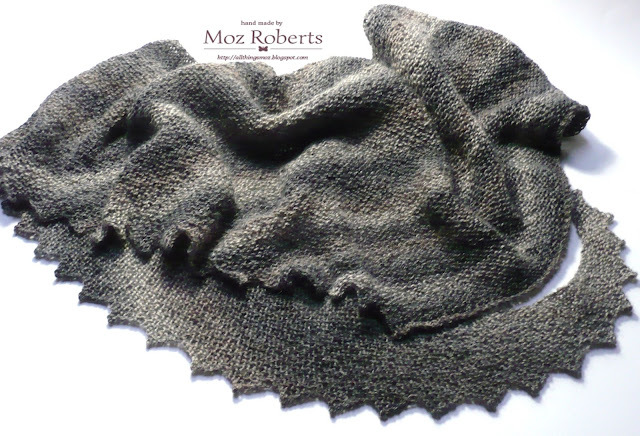 Our 3rd LAURA…this time, from Knitpurl83!!! Oh, and don’t worry…I am working on a very super cool PRIZE for the winner this month, so keep a lookout, I will post a pic in the next day or two! Wakey Wakey VOTING is open! How much fun was that?!!! 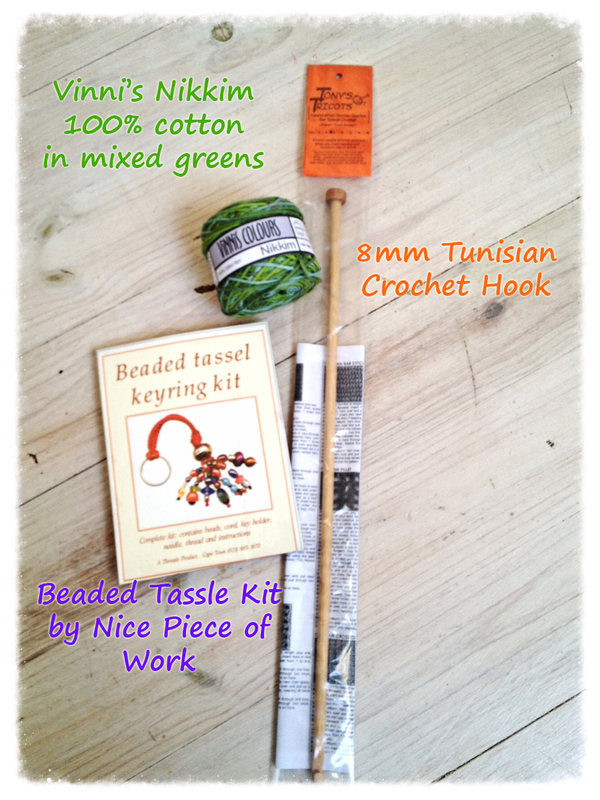 I thoroughly enjoyed eeach & every entry to the Made It this month – the huge pot of creativity is bubbling over YAY! Thank you so much for taking part, sharing with us and for all the fab comments and LIKES. So now for the BONUS FUN part….VOTING!! even though votes don’t decide the winner (we do random around here), the support and encouragement is PRICELESS!!! You have the whole long weekend to VOTE so don’t forget to check in (between mouthfuls of choccie, of course)! March is Making It happen! I’ve just had a notification from WordPress to say that it’s my ONE YEAR ANNIVERSARY! As promised here are the next lovely lot of entries! *gasp of air* You did too, didn’t you! Ladies, we have the newest and COOLEST CROCHET CELEB in.the.house!!!
! 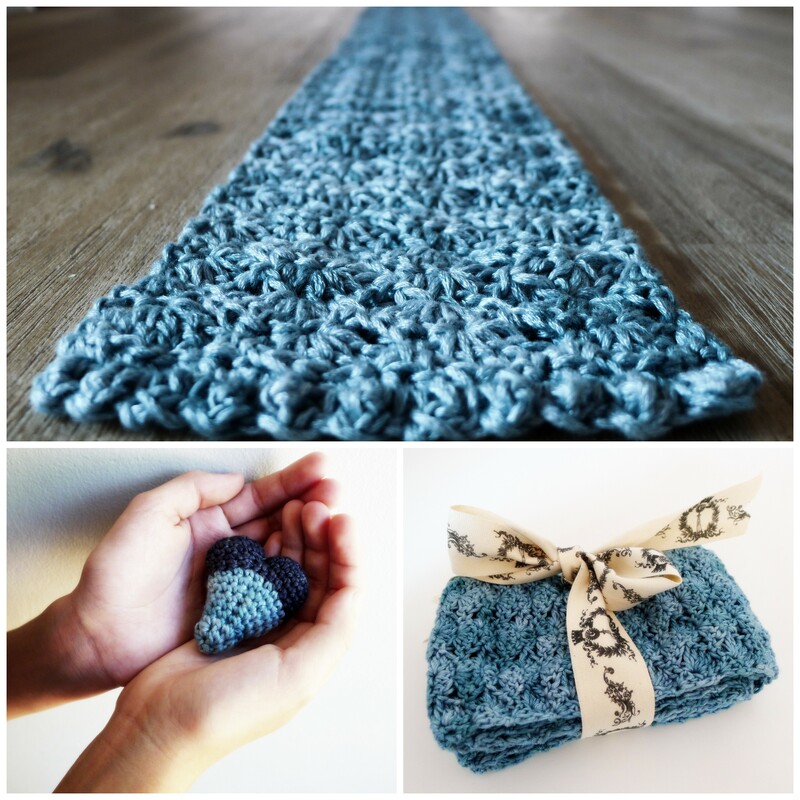 Alice from Knitrun4sanity has just been…wait for it….PUBLISHED!!!!!!!! 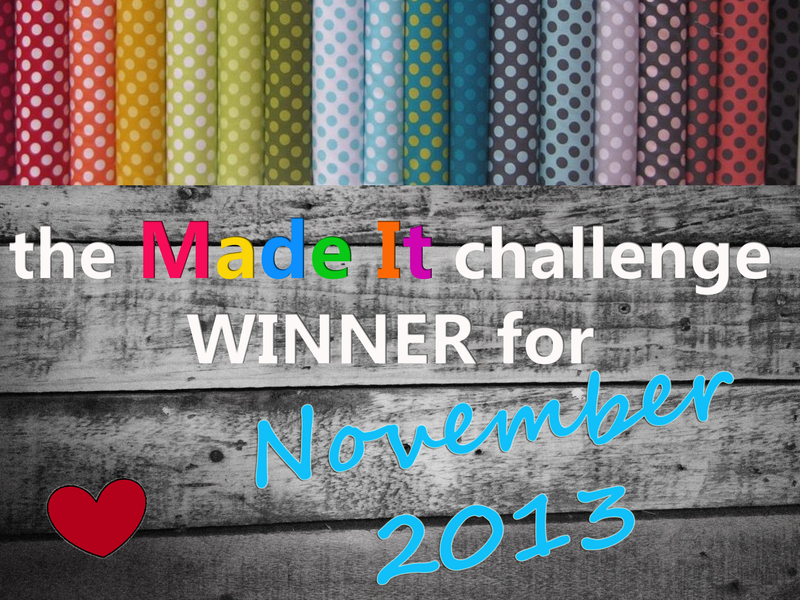 We have a “first” in the Made It challenge! 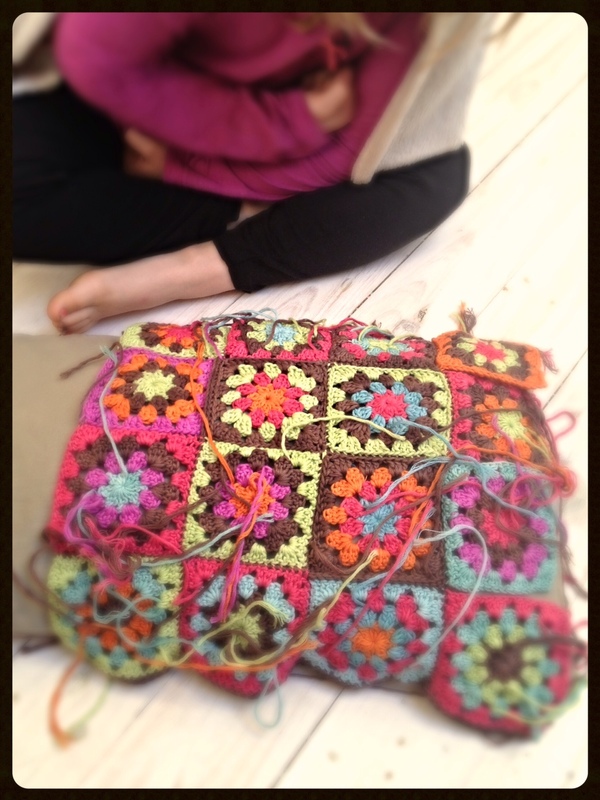 Tara from Cest La Vie shared her incredible (half way through) giant ripply blanket with us but asked to make it ineligible for voting…. PFFFT is what I say!!! This is SOOO eligble for voting, for drooling over, for winning! We just can’t wait to see the final product. Well, that’s all for now. I will be back soon with more lovlies to share with you. In the meantime, I’ve been bitten by the Granny “Yummy Mummy” Sqaure bug and now need figure out how I can turn these babies into something…um… Eastery!!!!! Click here to add your link! It’s that time of the month again – one step closer to announcing this months winner! Before we officially open the floor for voting, have a look at this beautiful bracelet by Knitrun4sanity. Every time I look at her work my jaw drops just a little lower – I mean, just look at it, crocheting with certain yarns can be tricky but this is WIRE! Also, this is not just crochet, its TUNISIAN crochet (and that’s all without the delicate bead work…..) Simply beautiful. So, now you know what to do….VOTE VOTE VOTE for your favourites and come back tomorrow and VOTE VOTE VOTE again. Remember, voting doesn’t influence who wins as we the have a random draw system but the votes of confidence and interaction go a long way. Now off you go….Good luck everyone! 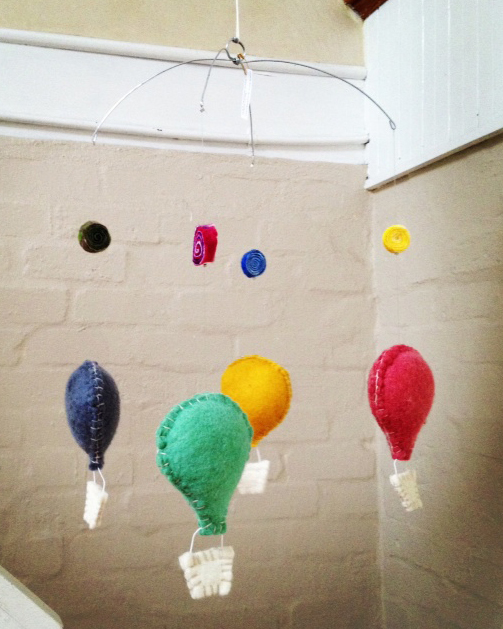 This STUNNING Hot Air Balloon mobile by SKAAPIE + a beautiful felted heart (oops, forgot pic) will be whisked off to the winner!